The Montpellier Laboratory of Informatics, Robotics, and Microelectronics (LIRMM in French) is a joint research unit of both University of Montpellier (UM) and the National Center for Scientific Research (CNRS). LIRMM research activities focus on modeling and designing of various hardware and software systems (such as robots and integrated circuits), as well as research on algorithmic, bioinformatics, databases and artificial intelligence. Leveraging this diversity, LIRMM reinforces its originality by combining theory, tools, experiments and applications in all its areas of scientific expertise, pushing ahead the emergence of interdisciplinary projects within the laboratory (e.g. image processing, digital security, human assistance…) and in close relation with other laboratories and scientific fields (such as mathematics, life sciences, health, neuroscience etc.). LIRMM brings together over 400 people including University full and associate professors, CNRS and INRIA junior and senior scientists, staff engineers, support and administrative staff along with around 150 PhD candidates and postdoctoral fellows. On average, the LIRMM produces yearly around 350 scientific publications, including 25 doctoral theses and 170 articles in international journals or seminars. LIRMM is enrolled in many collaborative research programs including fifteen national (ANR) and a dozen of European (H2020). Transylvania University of BRASOV is one of the leading universities in Romania having the development strategy based on teaching, scientific research and inter-university co-operation. With 18 faculties and 19 research departments in the field of Fundamental Sciences, Engineering and Socio-Humane Sciences, it holds about 25000 students, 700 PhD students and 800 people in the academic and research staff. The Physics Group with 12 people in the academic staff is involved in research topics including fundamental magnetism, sensors and simulations techniques of the magnetic proprieties of nanostructures, electronics, biophysics etc. Founded in 1828, the Technische Universität Dresden (TUD) has more than 35 000 students, more than 5 000 employees and around 400 professors. According to the ranking of the Centrum für Hochschulentwicklung in March 2010, the TUD was ranked No. 1 in electrical engineering among all German universities. The involved Chair for Circuit Design and Network Theory (CCN) is devoted to the design of integrated circuits using advanced circuit techniques and technologies with focus on wireless communications. CMOS as well as Beyond Moore Technologies (Carbon Nanotubes, organic devices, etc.) are used. The CCN incorporates the experience of 2 professors, 8 postdocs and project managers, 1 secretary, around 30 engineers/PhD students and 2 technical staff members. In the area of analogue, RF and mixed-signal circuit design, the CCN has published more than 300 papers and has received more than 20 renowned scientific awards. Applications mainly involve wireless communications, audio electronics and high-end loudspeakers. The CNN has a fully equipped RF measurement lab, CAD circuit and PCB design tools (Cadence, ADS, etc.) and a computer cluster. The CCN coordinated and coordinates e.g. the EU projects ADDAPT, FLEXIBILITY, RESOLUTION and MIMAX. EVADERIS is a French fabless semiconductor start-up company offering STT MRAM-based ultra-low-power data-centric control-processors serving the high-end Internet of Things (IoT) up to the embedded processing markets. The company is targeting customers developing wireless battery-powered or energy-harvesting based applications wanting to process "large" amounts of data, having strong power constraints, and wanting to extend the lifetime or increase the processing capabilities of their products; For instance multimedia sensors, secure applications, wearable medical-fitness devices, medical implants, endoscopy capsules, spy and tracking systems. The company offers as well services in term of design (custom memory IP), integration and tools support to IP licensees through NRE and joint projects. Ideally located nearby Toulon, between Sophia-Antipolis and Aix-Marseilles famous technology areas, TOPLINK Innovation is French Private Company, delivering High-Tech Consulting Services to innovative Organizations. Its Mission consists in promoting Innovation while experiencing excellence, in order to strengthen its customers Positioning and Competitiveness, which are the European players for tomorrow (High-tech Industries and SMEs, Laboratories and Universities, Governmental Institutions). TOPLINK Innovation is staffed with expert consultants and R&D project managers, skilled in signal processing, microelectronics/nanotechnologies, embedded computing systems and information technologies. Its know-how is to facilitate Innovation and financial process during the 3 major Innovations steps: 1) Strategic Development (assessment of marketing positioning, technology and competition survey, Business planning…) 2) Innovation Management (R&D innovative projects set-up and management in partnership, skills networking) 3) Outcomes Valuation (technology licensing agreements, Industrial Partnerships, Sales Strategy). StarChip® is a dynamic semiconductor company that enables customers to directly benefit from its unique, optimized value chain system. We design and qualify products for mass production, then license our solutions for purchase directly by our customers through qualified foundries and test houses. StarChip® products are based on state-of-the art, flash-based 32-bit architectures. They are designed to offer maximum integration, providing support for embedded, innovative security technologies, analog functionality, and connectivity and control interfaces. The result is a flexible set of solutions that can easily meet the requirements of a wide variety of markets, including smart card and security, consumer, automotive, and industrial applications. A Vision of Global Leadership: StarChip® is committed to becoming a powerful competitive force in the semiconductor industry, utilizing the most cost-effective business model—without compromising on performance and quality. We are focused on serving a global marketplace of customers who are developing applications that require advanced microcontroller or security technology. To achieve this vision, StarChip® is employing a “win-win” strategy that is designed to unlock benefits not only for our organization, but for our customers. StarChip® is making its vision a reality by: Creating outstanding value through partnerships with our customers and migrating to a highly agile, cost-effective “Product Provider” business model. Dolphin Integration contributes to "enabling low-power Systems-on-Chip" for worldwide customers - up to the major actors of the semiconductor industry - with high-density Silicon IP components best at low-power consumption. "Foundation IPs" includes innovative libraries of standard cells, register files and memory generators as well as an ultra-low power cache controller. "Fabric IPs" of voltage regulators, Power Island Construction Kit and their control network MAESTRO enable to safely implement low-power SoCs with the smallest silicon area. They also star the "Feature IP": from ultra-low power Voice Activity Detector with high-resolution converters for audio and measurement applications to power-optimized 8 or 16 and 32 bit micro-controllers. Over 30 years of experience in the integration of silicon IP components, providing services for ASIC/SoC design and fabrication with its own EDA solutions, make DOLPHIN Integration a genuine one-stop shop addressing all customers' needs for specific requests. EM Microelectronic is a semiconductor manufacturer specialized in the design and production of ultra low power, low voltage integrated circuits for battery-operated and field-powered applications in consumer, automotive and industrial areas. We have 35 years experience in the design of IC processing analog and digital signals simultaneously. 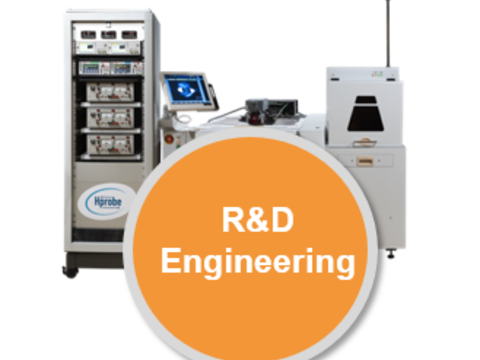 Our product portfolio encompasses RFID circuits, smart cards ICs, ultra-low power microcontrollers, power management, LCD drivers and displays, sensor and opto-electronic ICs, mixed-mode arrays and standard analog ICs. We manufacture not only standard circuits and ASICs, but also system solutions and modules for applications such as access control, radio frequency identification, mobile phones, mass-market consumer appliances, alarm and security systems, utility and heating meters, sensor signal processing, controlling, car immobilization, electronic automotive subsystems and many more. The chair was founded in September 1994 by an endowment of Mannesmann Mobilfunk GmbH, Düsseldorf, Germany. After the acquisition of Mannesmann Mobilfunk by Vodafone Group Ltd. in 2000, the chair changed its name to Vodafone Chair. The objective of the Vodafone Chair Mobile Communications Systems at the TU Dresden is to carry out leading-edge research which adds to the advancement of wireless communications technology, by working on industry relevant problems related to next generation wireless systems. Thorough fundamental research as well as close industry cooperation are key to the success of our projects. Wireless/mobile communications is mainly driven by three branches of industry, namely : network operators, equipment manufacturers and semiconductor manufacturers. ...with each branch having a different view on problems and solutions. It is highly important that each of these different viewpoints is addressed in the research work, to ensure that the results have practical relevance and significance. The Vodafone Chair therefore welcomes industry contacts and partnerships to help meet this objective. The chair's current focus lies on physical layer research, with a special emphasis on wireless radio network problems (wireless networks capacity), wireless modems (baseband algorithms), RF imperfections ("Dirty RF"), and IC implementation architectures. Of particular interest are problems and solutions which are found in a tradeoff between these focus areas. Chair projects shall also enable researchers to start-up their own company after obtaining their degree, based on the work performed at the chair.